It's almost Easter. Which, around here, means it's time to add to our collection of blown eggs. 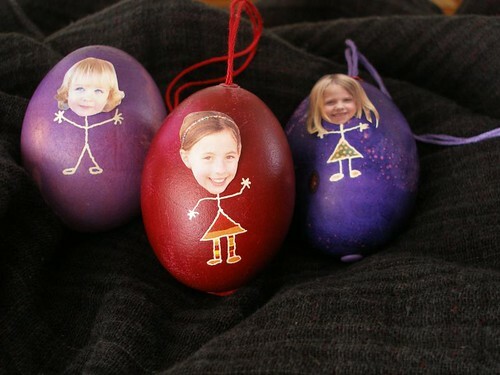 So how about some cute little people eggs? I did the first version of this 13 years ago, when Joey was just a baby. No real tutorial on this, just some tips. 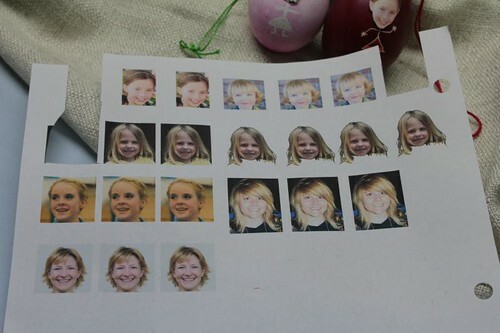 -Print out the pictures of the faces before you start drawing on the body. It really helps to get the sizing right. -I printed one page with lots of cropped faces on it, doing several of each person because I expected to screw most of them up. Surprisingly, I didn't. -Before I cut anything out, I lightly sprayed the entire paper with a matte fixative spray. 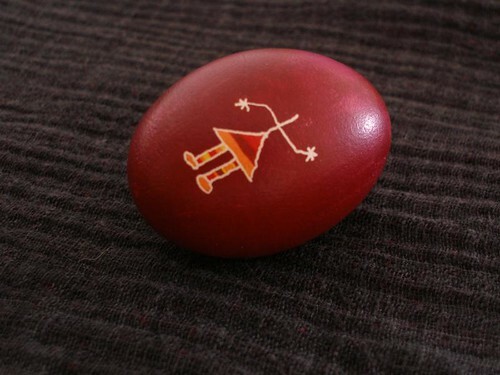 This does two things: it sort of protects the ink and gives the paper a little more body so it stands out from the egg. You could alternately print the pictures on paper that's a bit stiffer. 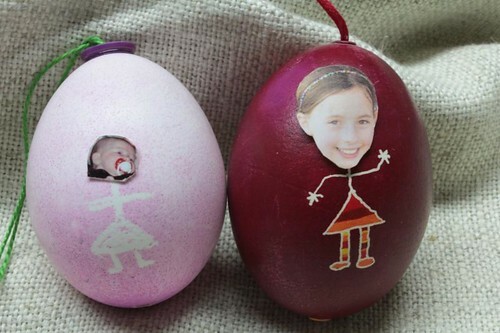 -Dye the egg with little bodies and no heads. 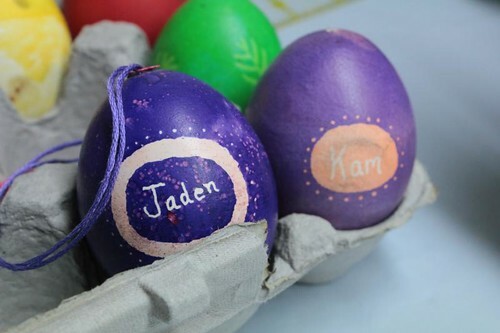 -You can also put names on the back of each egg, like so. -When they are completely and totally dry, attach the heads using hot glue or Museum Wax. You really don't want to use water based glue because it tends to warp the paper or make the dye on the egg run. Good luck. And as usual, send me a picture if you make these yourself. Wendy, these are just too cute, and I know everyone will enjoy and appreciate them for years to come! I didn't even know that Easter was next Sunday until yesterday.